CCB can provide any kind of building to meet your needs, whether it be Industrial, Commercial, Institutional or Warehousing. 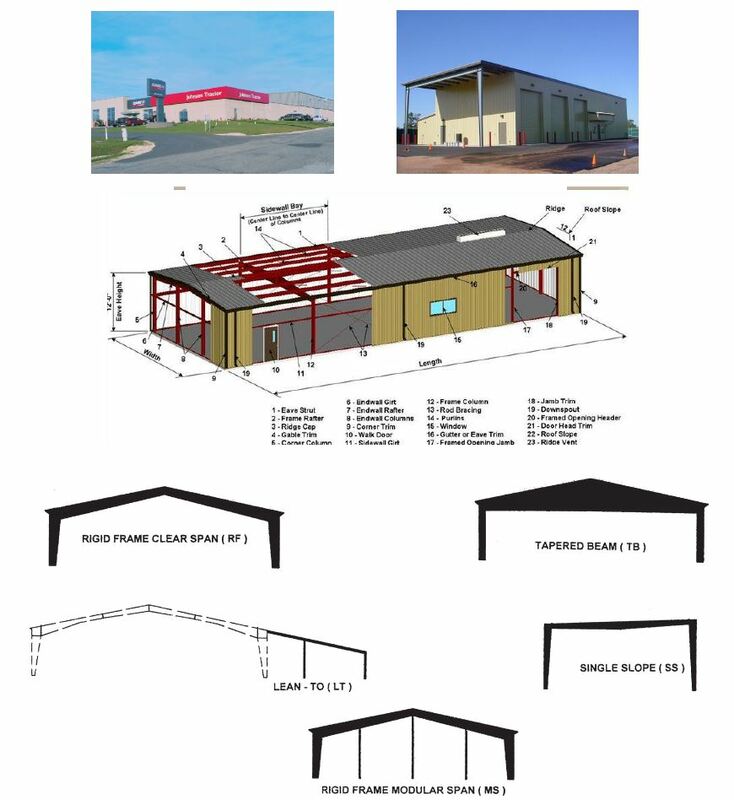 The buildings are designed in strict compliance with all the latest Code requirements, MBMA Specifications and are certified by the American Institute of Steel Construction (AISC). Not all manufacturers are able to meet all of the required guidelines. You can choose from many Design options, Frame Profiles and larger Bay spacings, which can help to cut your initial erection costs and give you the interior flexibility to locate your equipment where you really need to. Some of the many options available are: Standing Seam Roof Systems, Insulated Roof / Wall Systems, Mansards, Entrance Canopies, Eave Extensions, Interior Liners and much more. Contact us to see how we can get you the most out of your budget.